IF YOU LOVE SPICY THINGS, THIS CHATPATTA TORTILLA IS A MUST HAVE. MIX TORTILLA CHIPS, ALOO BHUJIA AND CORN IN A BOWL. ADD CAPSICUM AND TOMATOES, MIX AGAIN. ADD SALT, CHILLI FLAKES, MUSTARD POWDER AND MAYONNAISE AND MIX WELL. 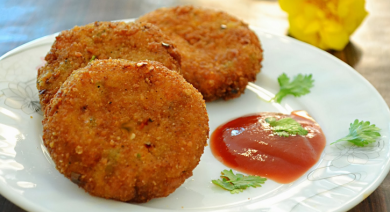 THERE’S NOTHING BETTER THAN A RANGE OF VEGGIES TOSSED TOGETHER IN A RICH DEEP FRIED CUTLET. HEAT 2 TBSP OF OIL AND ADD CUMIN AND GINGER. STIR-FRY TILL WELL MIXED AND ADD THE BEANS, GOURD, CAULIFLOWER AND CARROTS AND STIR OVER HIGH HEAT TO DRY OFF THE EXCESS MOISTURE. ADD THE CORIANDER, AMCHOOR, SALT AND CHILLIES, TURN AROUND A FEW TIMES AND SHUT OFF THE HEAT. WHEN COOL, MIX IN THE POTATO. FORM INTO ROUND OR OVAL CUTLETS. 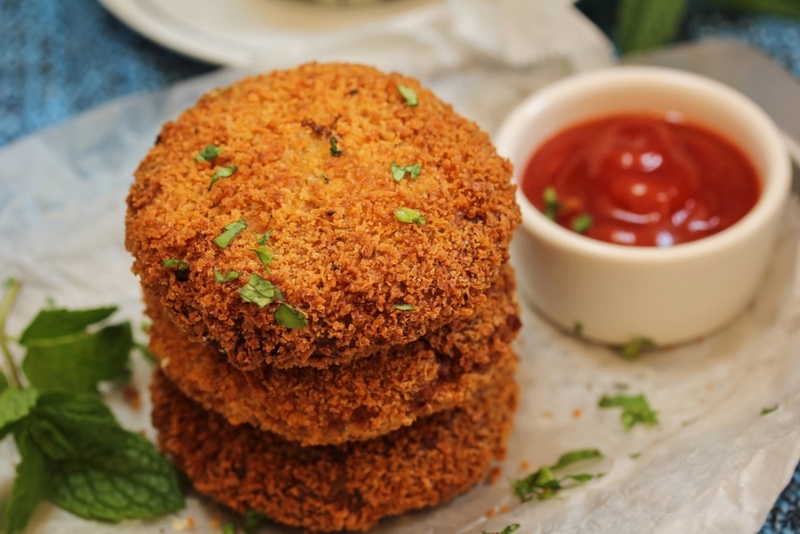 DUST THE CUTLETS WITH REFINED FLOUR, THEN DIP INTO THE BEATEN EGG. NOW COAT WITH THE CRUMBS. REPEAT BY DIPPING THE CRUMBED CUTLETS INTO EGG AND CRUMBS ONCE MORE. DEEP-FRY THE CUTLETS TO A GOLDEN COLOUR AND SERVE. THIS IS A DISH YOU WILL DEFINITELY NEED DURING MONSOONS. 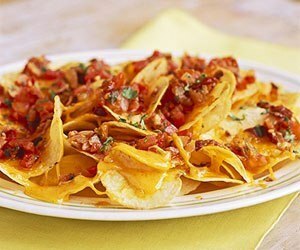 DIP THEM IN KETCHUP, YOGURT DIP OR MINT CHUTNEY TO SAVOUR THE MEATY CRISPINESS. MARINATE THE CHICKEN WITH GINGER-GARLIC PASTE. KEEP ASIDE FOR AT LEAST AN HOUR. MIX TOGETHER ALL THE INGREDIENTS FOR THE BATTER AND BEAT THOROUGHLY. DIP A MARINATED CHICKEN PIECE IN THE BATTER AND DEEP-FRY UNTIL CRISP AND GOLDEN BROWN. REPEAT WITH THE REMAINING CHICKEN PIECES, DRAINING EXCESS OIL ON ABSORBENT KITCHEN PAPER. 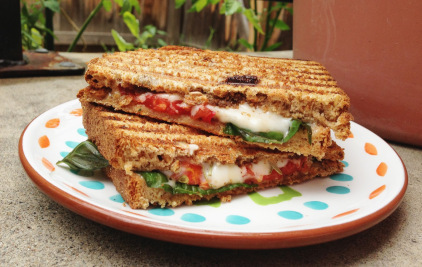 THIS GRILLED SANDWICH IS FULL OF DELICIOUSNESS THAT TASTES SUPER YUM. IT’S FAST AND EASY TO MAKE AND ADDS THE RIGHT AMOUNT OF FLAVOUR FOR MONSOONS. MIX CHEESE, SALT, BLACK PEPPER, CORIANDER AND GREEN CHILLIES. 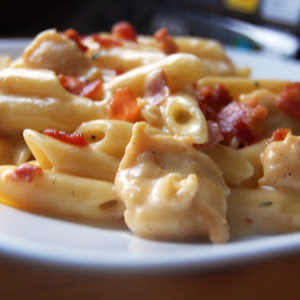 PLACE HALF EACH OF THE CHEESE MIXTURE OVER TWO SLICES, ON THE UNBUTTERED SIDE. COVER BOTH WITH THE OTHER SLICES, BUTTERED SIDE ON TOP.